Soccer is a team sport that requires prolonged, high-intensity, intermittent exercise and evidence from previous studies has shown that players experience fatigue toward the end of a match. Some preliminary observations indicate that goal scoring increases over time during the game; however, these preliminary results were obtained analysing minor soccer leagues and/or using a limited amount of matches. 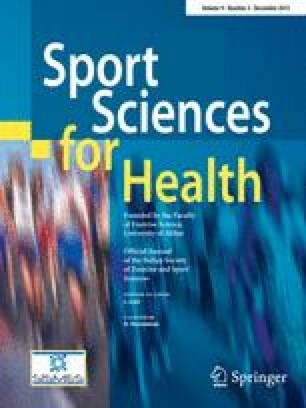 The aim of this study was to examine the goal scoring patterns in four major European leagues (English Premier League, French Football Ligue 1, Italian Serie A and Spanish Football Liga) across three consecutive seasons (2008–09, 2009–10 and 2010–11). Chi square analysis revealed a significantly (p < 0.001) higher goal scoring frequency in the second half (55.1 %) compared to the first half (44.9 %). The 15-min interval analysis highlighted a significant (p < 0.001) upward trend in the number of goals scored as time progressed (13.7, 15.1, 16.2, 17.7, 17.2 and 20.2 %, for 0–15, 15–30, 30–45, 45–60, 60–75 and 75–90 intervals respectively). The main finding of the present study is that in the four major European soccer leagues investigated the amount of goals scored is greater in the second half, with the scoring rate being highest in the last 15-min of a match. Fatigue occurring during the game may play a role; however, fatigue alone cannot explain the differences. The state of the games result and the reduced time available for scoring are other potential contributing factors to the increased goal scoring patterns observed in the latter stages of the game. The authors would like to thank Lorenzo Pugliese for helping in data collection and Darragh R Connolly for his valuable English revision.